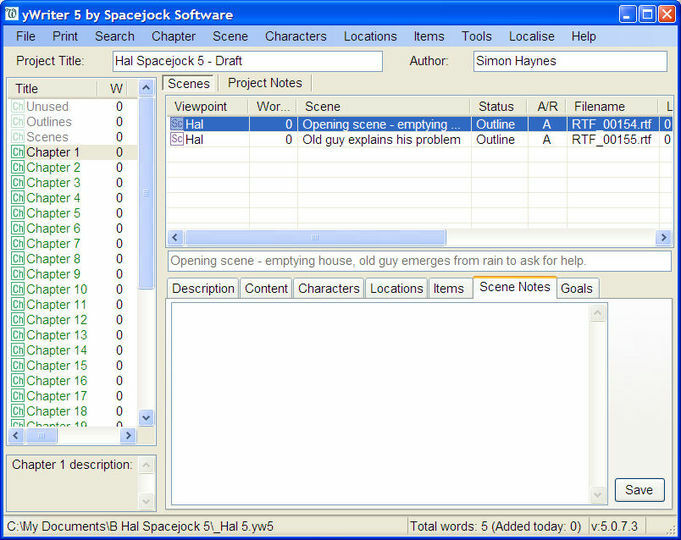 yWriter is a word processing utility that breaks up your novels into chapters and scenes. It is designed for those who write long stories and need them formatted correctly. Splitting it up into scenes can be really helpful as you can easily re-visit any part of your writing and change details later on.